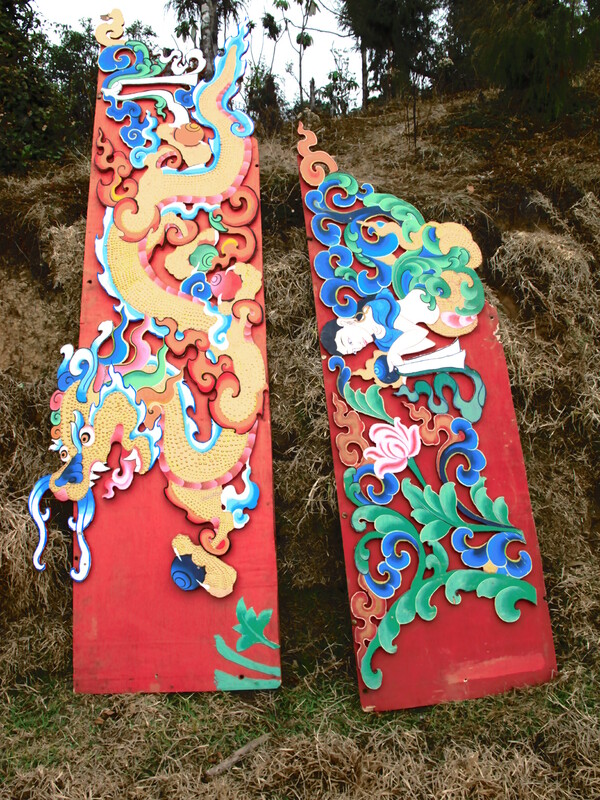 Just an hour away from Thimpu. 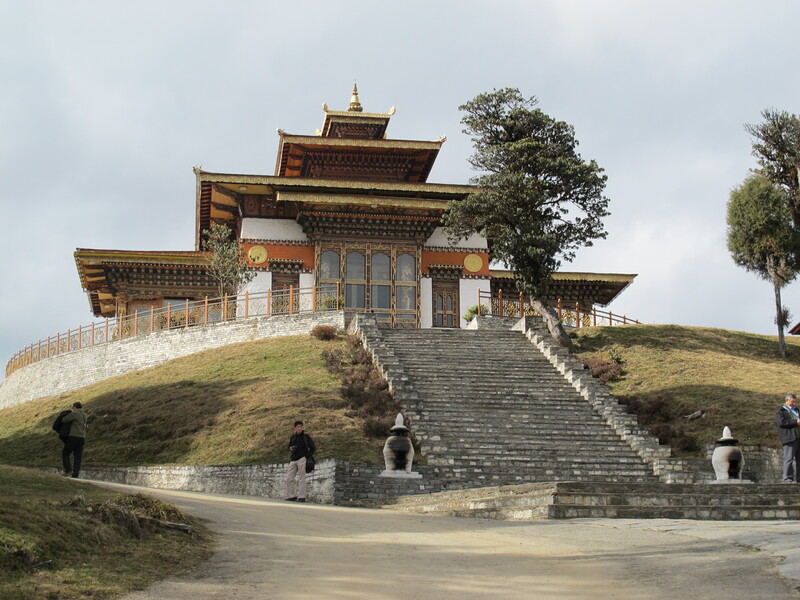 We passed this site and drove another 1 .5 hours to reach Punakha just a couple of days before. No chance to get off the car to count the stupas. But you can bet your bottom ngultrum (Bhutanese currency) that they do number 108. No more, No less. There you go. 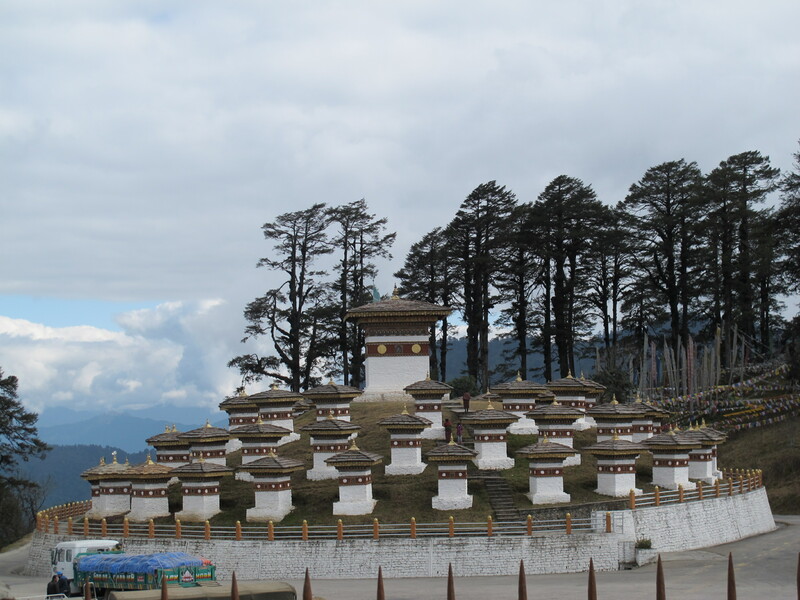 All 108 Chortens. 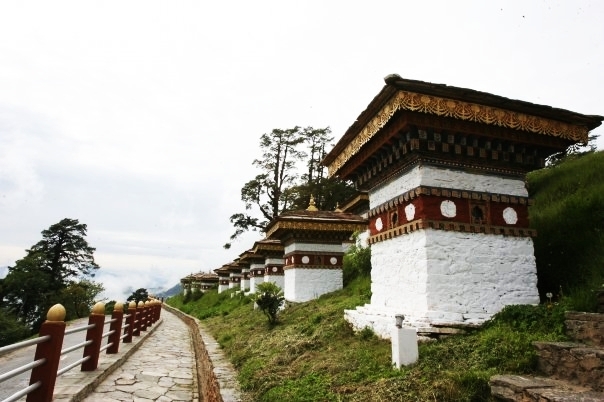 Dochula Pass sits right along the road on the way to Punakha from Thimpu. It was built to honor the casualties of a recent war resulting from a conflict with rebels from the South who wanted to secede. The King himself personally led an army of about 7,000 volunteers to drive out tens of thousands of rebels. Not one to glorify war nor their victory, the King had this monument built instead to honor both the dead soldiers and dead rebels from the conflict. I can sit here all day. But do throw me a blanket! 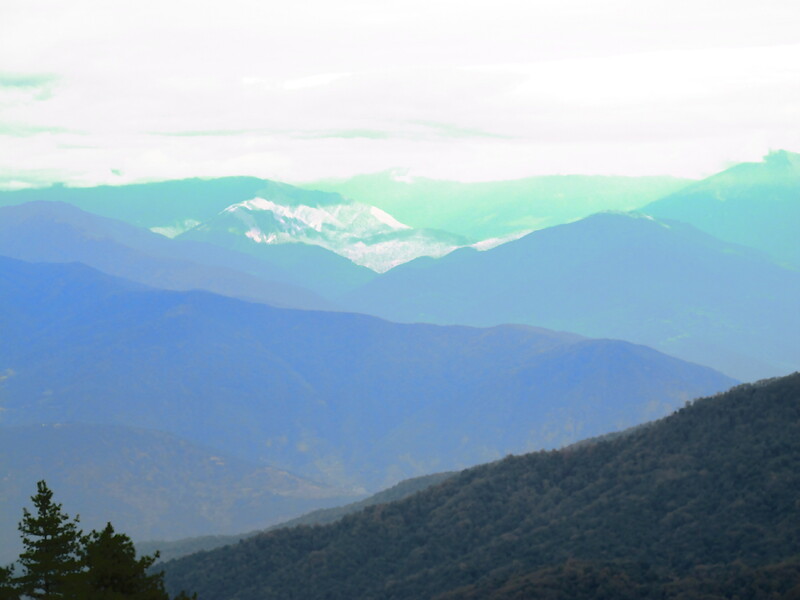 At 3,150 meters above sea level, you can ID a number of mountains from the Himalayan Range on a clear day. But I’m telling you……… even on a cloudy day, it is still a worthwhile trip to make it high up here. 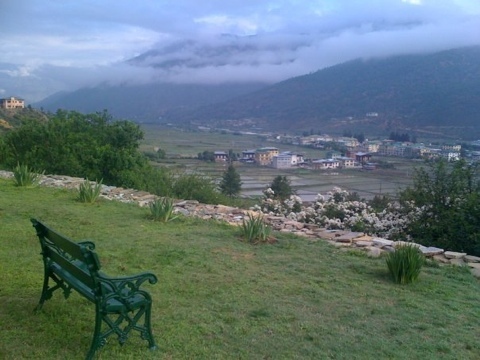 Just a short walk from the Pass, have a cup of steaming coffee or tea at the Dochula Cafeteria. In our case, we had lunch. I am not exactly a big fan of Bhutanese cuisine, but one thing’s for sure. They grow their vegetables and grains organically. The mountain rice tastes better. The dumplings filled with cabbage and cheese dipped in some spicy sauce called MOMOS are so simply made, and tastes “healthy”. I passed on the fish, knowing that Bhutan is landlocked and assuming that the fish must have been transported all the way from India. The vegetables were cooked just as simply. Nothing fancy, really. But no worries. Altitude has a way of making you feel funny. It also affects one’s appetite, so I hardly complained. 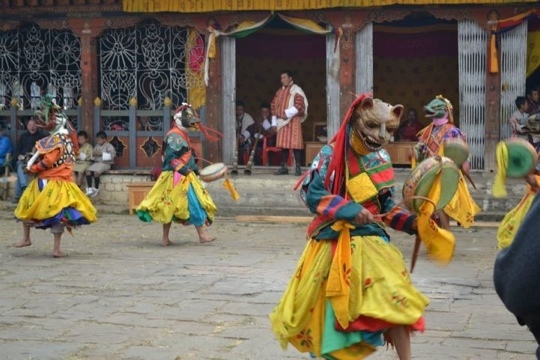 Just a short walk to watch a cultural performance. 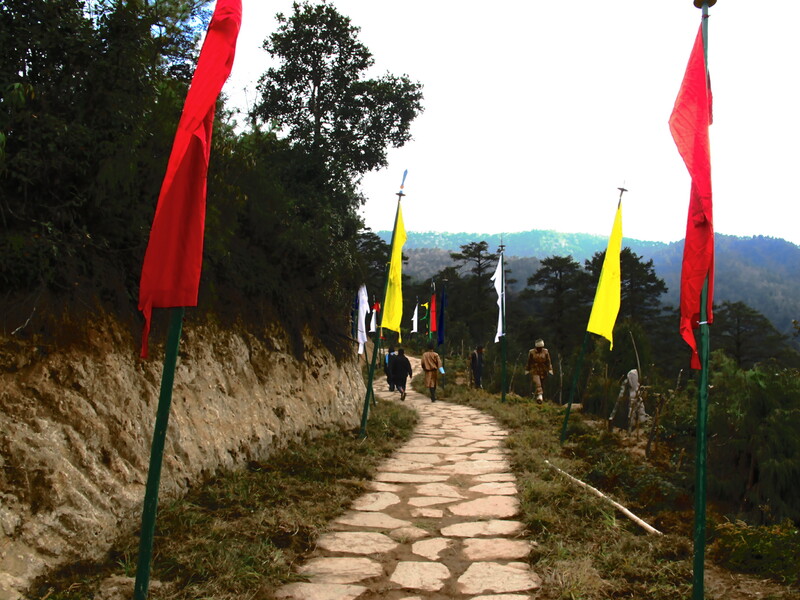 Just a few hundred meters from the Pass, we walked along a dirt path lined with prayer flags to watch a cultural performance. Since the dance routines have not been watched by the King yet, no photographs were allowed. Such is the rule in this land. Seated in an open-air site in 6 Celsius temp, we watched in amazement how some half-naked dancers can stand the cold. Mind you, the performance lasted well over an hour! 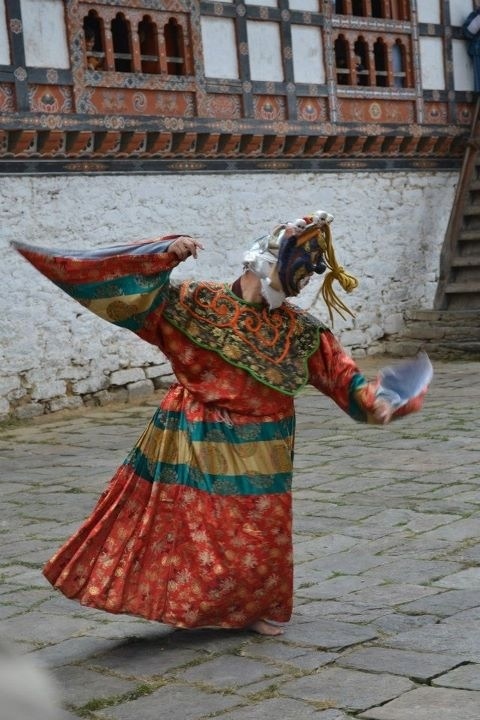 I am borrowing some photographs here to give you an idea of Bhutanese dance routines. I want to visit that place ..